I have started a "Christmas" category for recipes that are suited for the season. If you have cooked long enough, like me, you will realise that side dishes need effort and time to prepare well. Sometimes veg dishes can be harder to get right compared to the meat ones and demand more cooking attention. I have a few favourite veg recipes which I like because they are easy to do and delicious. For these recipes I turned to my cookbooks. Oh yeah, cookbooks. I am sure you can figure out by now that I have tons of them. As my Mum hardly cooked anything Western, the work of some chefs can be a helpful source of inspiration and ideas. 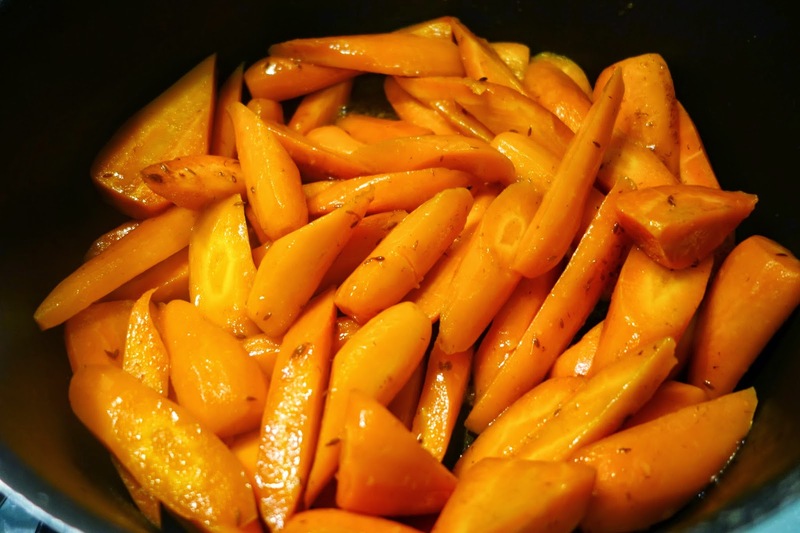 I love glazed or caramelised carrots, especially if they are cooked just right with still a good bite in it. This is a simple recipe I learned from Heston Blumental at Home. It is about cooking vegetables in fat (butter) at low heat. The flavours which ooze out is retained in the butter, unlike boiling the veg in hot water, where vegetables like carrots will lose some flavour. The lid is kept on, which means the veg is being braised and steamed at the same time. The heat needs to be kept low so that the veg is softened rather than brown. I find this method of cooking veg very convenient - and it is easy to season and add flavours to the veg as you cook. Cut up the carrots into various shapes of roughly the same size. Use a large pot (or wide pan) and heat it up. use low fire. Add butter, some cumin seeds, sugar and salt. Add the carrots. Make sure the carrots are all in a single layer. Stir a bit and close the lid. Stir it around once in a while to avoid bottom burning. After 20 minutes or so (depending on the size of the cut carrots), it should be done. Don't overcook the carrots. It should still look firm without bits coming off, as will be the case if it is overcooked and unpleasantly soft. You should be able to cut it firmly with your table knife. It should retain it's bright colour. Looks great. Tastes great. Easy to cook. And the humble carrot looks appetising. You can choose other kinds of spice or herbs i.e thyme leaves (add towards the end to avoid bitter flavours), paprika, maple syrup, toasted caraway seeds etc. Add them midway or towards the end as most herbs will turn bitter if overcooked. I will be blogging other veg dishes and they should work nicely for your Christmas or New Year Dinner. With a bit of planning, you can home cook some dishes. As you should know, during the festive season, don't expect a store to do a good and fresh roast chicken or cook good vegetable sides for you. Western dishes are relatively easier than Asian ones and you should try to do some dishes yourself. 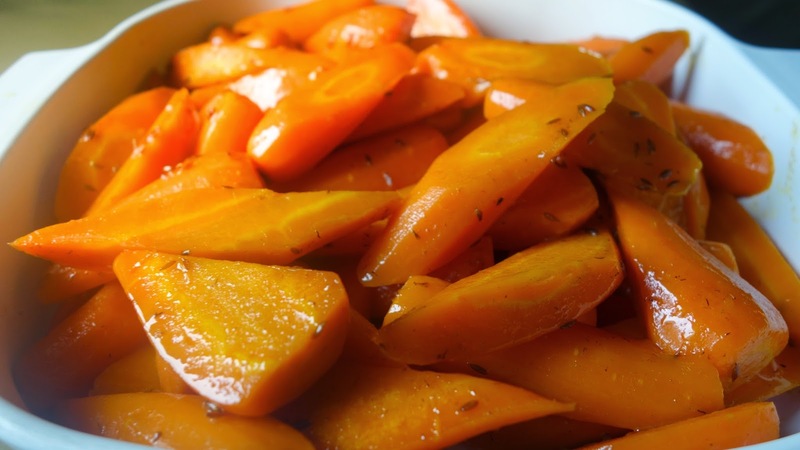 This is one carrot dish which you will like to put your teeth to.